Though there is no official date, it is thought that John Hance was the first inhabitant and first tour guide in the canyon. In the late 1800s he constructed primitive tent camps, charging $1/day for an all-inclusive stay. 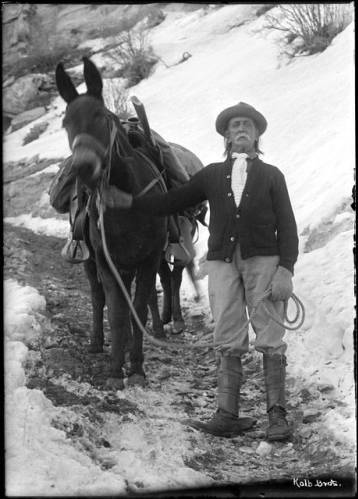 Visitors could expect incredibly in-depth tours, good food, adequate lodging, and tall tails from a man who has come to be known as a legend in the canyon. He too began with mining claims, his in asbestos, which ultimately failed. When the railroad and Fred Harvey came to the canyon, they bought his properties for $1500 and offered him permanent residence on the rim as a commentator and greeter. He worked in this until his death in 1919.